Escaping from a Mysterious Room | Katarina G.
Last weekend, I did a thing with a group of friends. The thing was: spending an hour locked in a “mysterious room”, which we had to ransack for clues in order to find a key to get out. The room is filled with a variety of puzzles (some brain-twisters and some that require thoroughness and keen observation skills). The puzzles fit together to create larger puzzles which eventually get you closer and closer to the key. 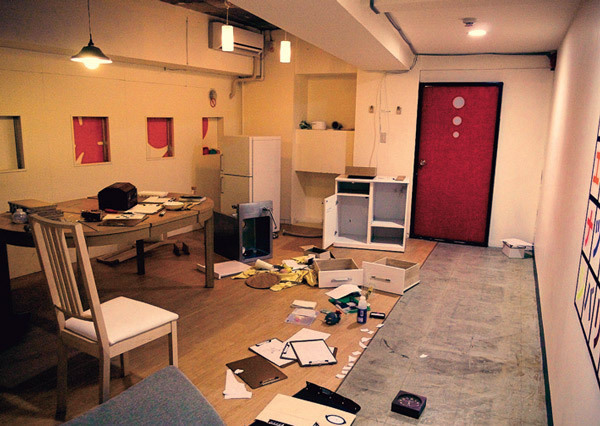 The Real Escape Game that we participated in started in Japan, but has moved to San Francisco, Toronto, and a few other places. We didn’t make it out of the room, but believe me when I say that we made it incredibly close, which felt good and fuelled our group desire to do it again the moment they launch another room (you can’t really play the same one twice, because you know all the answers, and where would the fun be in that)? I won’t tell you much about the puzzles themselves, because that would spoil the experience for those among you who are considering doing it. But I can tell you this. It was wonderful. And it fulfilled my lifelong desire to solve mysteries in real life. When I was a very small and only child, I played by myself often, sometimes for hours at a time. I had a whole world, a parallel universe of my own, which I could enter into at will. When I was a little bit older, I also used to have a recurring dream in which I would wake up, walk to my bookshelf, pull out a book of fairytales and jump into it, and then spend time with the characters stroll through the stories. Another parallel world that was all my own. I was convinced, for years, that the book was real, even though I could never seem to find it during the daytime. Some years later, during my pre-teen years, I fell in love with mysteries (musicals, too, but that’s a different story). I watched Agatha Christie mysteries on TV, devoured any noir film I could get my hands on, and read as many Famous Five, Nancy Drew or Hardy Boys books as I could find. I even read the complete Sherlock Holmes. I don’t really remember the stories now (or if I do, it’s from the film adaptations more than the books) but I remember the feeling they evoked. Pure electricity. I read, and watched, and waited patiently for real mysteries to crop up in my life. They never did, but I never stopped hoping. I still hope. In my early teens, I was obsessed with Where in the World is Carmen Sandiego?, the TV game show for kids that aired every day after school on PBS. There was a far more embarrassingly teenage reason for my obsession with the show (he’s the bumblebee on the far left at around 4:38 of the blurry, taped-off-TV YouTube clip below), but that’s not the point. 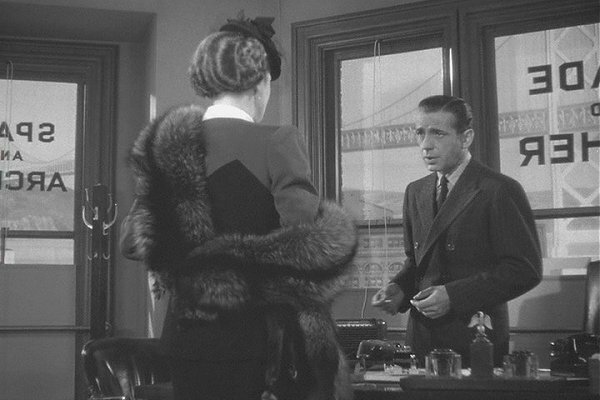 I never would have gotten hooked on it in the first place if the allure of a lady-detective hadn’t been powerful. I wanted to be Carmen Sandiego. In a way, I still do. When I was in my 20s and still trying to figure out what to do with my life, I flirted multiple times with the notion of going to detective school and making my living as a gumshoe, while I pursued writing or whatever other no-money-making thing I chose. Sometimes, I still think of it as a backup plan if this whole “movie thing” doesn’t work out. It’s no coincidence that the first film I will likely end up completing as a for-real, full-on producer, is Peter Lynch’s Birdland, a modern noir-ish murder mystery. If I could put my finger on the beating heart of the Venn diagram of my most fervent childhood fantasies, it would be this: a world of my own in which I have mysteries to solve. Real Escape got me closer to realizing this fantasy than any game has before. I knew before we went into the room that I would have “a good time”. But I had more than a good time. It took me hours to come down from the adrenalin high of the experience. They’re launching a new room in October. I will be first in line for a ticket, ever grateful for the small gang of game-playing friends who share my desire to pretend to be super-sleuths.